Join the bell and slide sections together and secure them simply with resistance. Insert the mouthpiece gently into the mouthpiece receiver. Apply a small amount of slide cream to the stockings or apply oil/liquid slide lube to the inner slide top, allowing the oil/lube to run down to the stockings. Spray inner slides with water and work up and down to distribute the cream/oil/lube. When new the slide may feel slow and scratchy. The slide will “run-in” with use as the brass stockings polish themselves and at the same time smooth down the interior of the outer slides. During this “running-in period” you will need to clean the inner slides frequently with a lint free cloth or baby-wipe. You should expect to find a dark deposit both on your cloth and in the condensation coming from the water key, this is normal and shows that the stockings are doing their job smoothing down the interior of the outer slide tubes. With use and over time this process will diminish and disappear as the slide becomes quicker, quieter and smoother to run. You may find that the slide needs less lube during the “running-in” period. If during this period, the slide slows it will almost certainly be a build up of the dark deposit so always give the slide a good clean should it slow down. 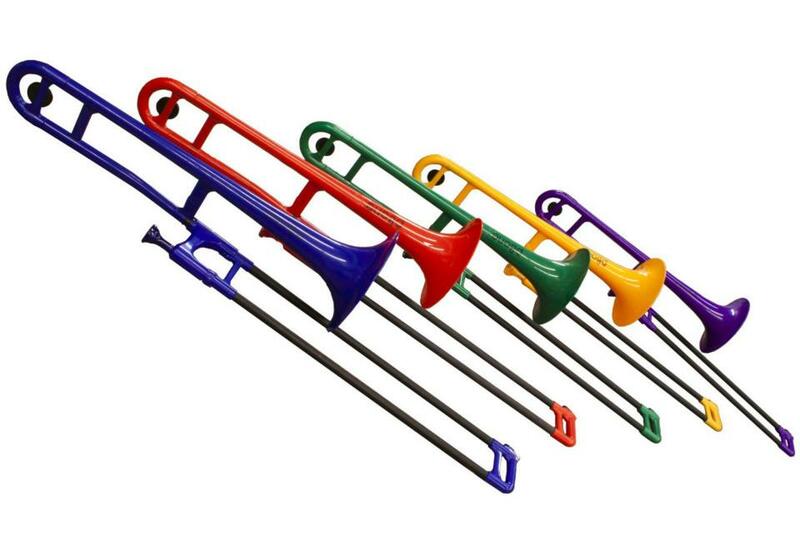 To maintain your instrument's finish, never clean with hot water, chemical agents or harsh detergents or solvents. Use only lukewarm water for cleaning purposes. The colored parts can be cleaned with a soft cloth. The glass fibre outer slides may be cleaned with warm soapy water and then lightly dressed with vegetable oil to restore the look of the surface. Any minor damage to the coloured plastic may be mended with superglue.